It all escalated quite fast. 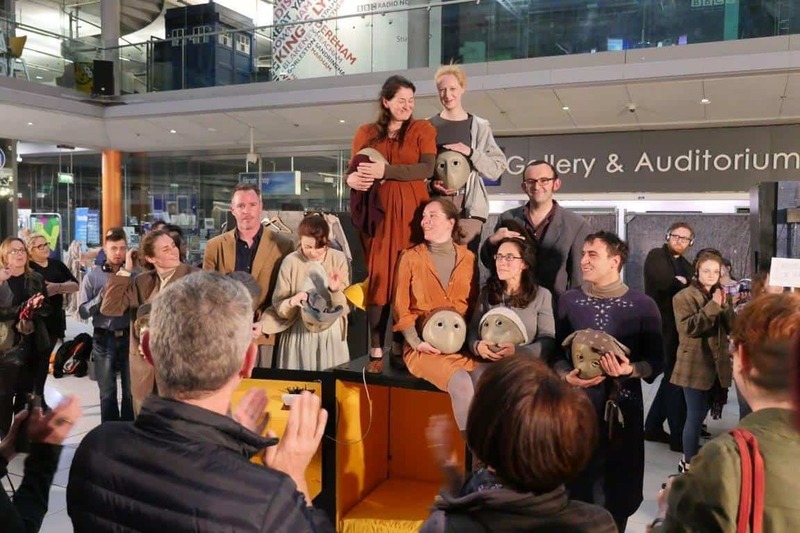 One evening I turned up for a free scriptwriting workshop being run by the Jenny Lind Arts Project and Danny O’Hara with the Slow Theatre Company. I thought it would be a great help to learn some new creative writing techniques and generate some ideas to kickstart my creative coursework. It turned out that writers could submit a piece of their work to be part of the project’s performance in June 2018. The next thing I knew, not only was my “Abandoned Places” script, with Megan and Josh, included as part of the theatrical promenade piece, but I was acting in it too, as the Spirit of the Place. It was an immensely ambitious and unique piece of community theatre, a promenade piece composed entirely of local writer’s work which was then beautifully sewn together with the words of playwright Danusia Iwaszko, who created the Spirit of the Place as a guide, leading the audience around the stage, following the walkways, green areas and stairwells that make up the community space. There were many people working incredibly hard to bring the show together, both performing and behind the scenes, . It would not have been the same if even just one person had not been there. I grew up, an artistic child, in an area of Norwich that was in the top 10% of the most deprived areas of the country. For poor families, this meant that opportunities to get involved in the arts were next to zero outside of the school curriculum. So, the opening up of provision of the arts for everyone, no matter what their background or income, is something very close to my heart. 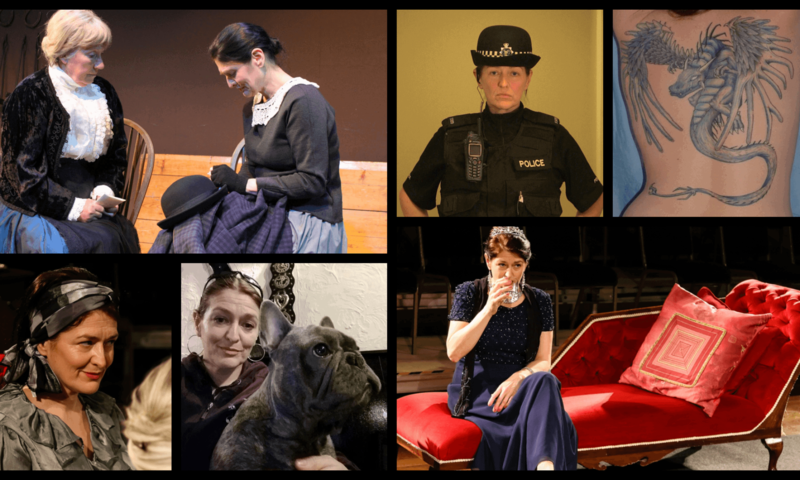 The work that the Jenny Lind Project does, bringing the arts into local communities is invaluable. 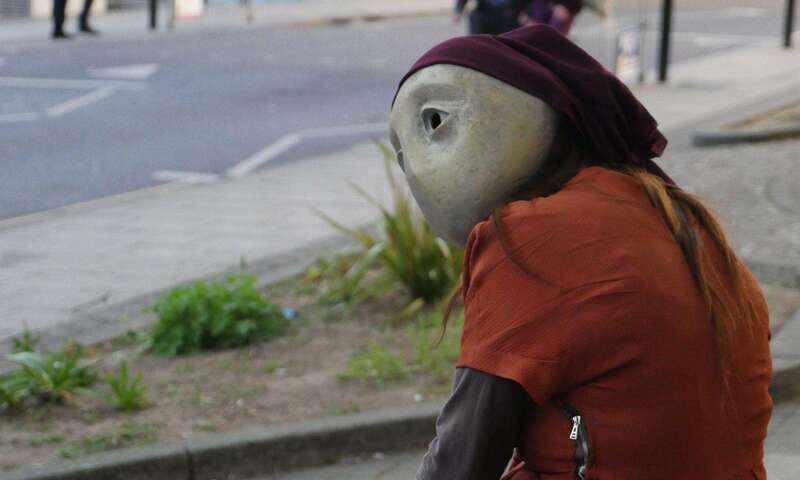 The short film, ‘And I saw my world from my Home’, is a collaboration between the Jenny Lind Arts Project, BBC Voices and the Suffolk Square community. The footage is composed of clips that we filmed around the area. The poetry and readings are by the local community. The poem I am reading between 2:09 and 2:58 is by writer and poet, Salah El Nagar. Other contributors to the movie include: Cate Oliver and myself. It was a privilege to be part of the project. I have some wonderful new people in my life. People who I might never have even met if I’d not gone along to a little community script writing workshop a few months ago. My life has been enriched for taking part. I hope the community feels the positive effects of the project long into the future. Something a little different from 2016. The Common Lot were asked to be ushers for Norwich’s Halloween Spooky Parade. It sounded fun so I went along to the initial ideas meet up, but I didn’t have the faintest idea of what I wanted to dress up as or perform on the night. In a serendipitous turn of events, Max had decided he wanted to play a creepy Pied Piper, but he didn’t have any rats so Harriet and I scurried to the rescue. Masks, tails and a bag of stale bread later, speckled with food dye to make it look mouldy, and we were let loose on Norwich. It was great fun, running between the participants, guiding the way along the parade and trying to share our bready feast. Things didn’t always go to plan as I ended up being chased around the crowd by some of the braver children. Whilst others just peeked out from behind the legs of their parents, only daring to come out when daddy said it was ok. Apparently I make a very good rat. Lots of people stopped me to take photos that evening. This image above is just one of many photographs, taken at Spooky Parade by Wireless Pix.